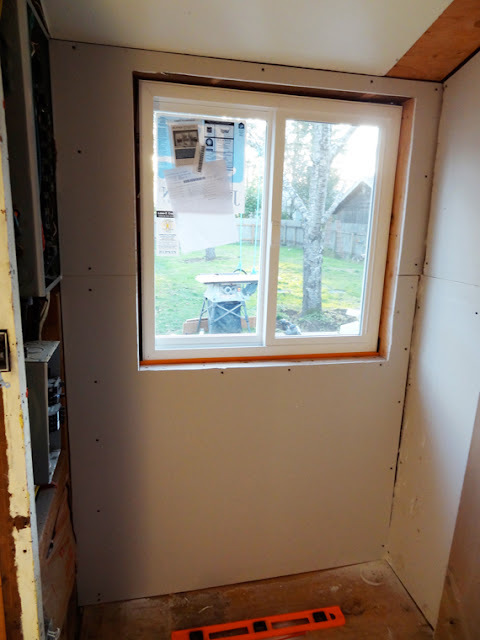 Since we're on a tight budget, our mudroom is in a sort of limbo period since we replaced the window and put up the drywall. But, even though work isn't progressing that doesn't mean our plans aren't. 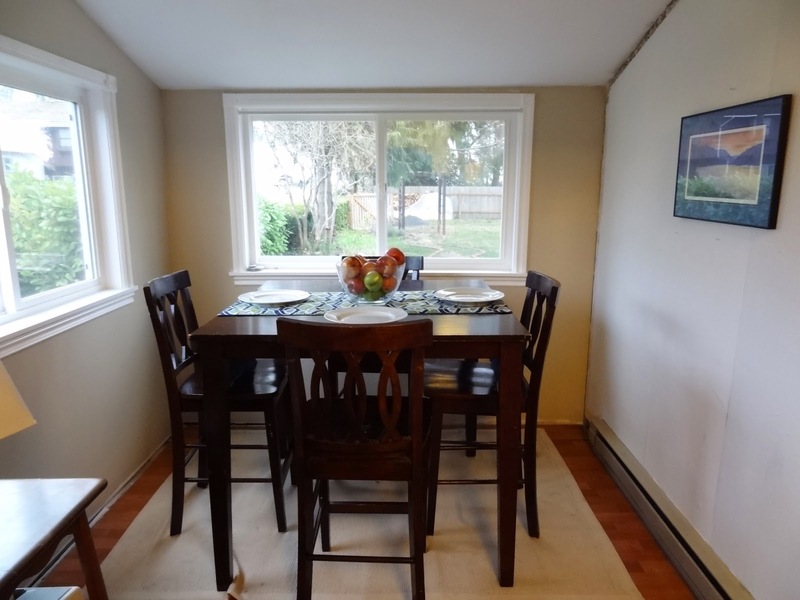 I thought I'd share our ideas for the space and how it ties into our kitchen and breakfast nook. Here's how the space looks now: subfloor, window, and drywall. And then here's one of the walls (with the door) that we want to remove to open up the space. Don't mind the freezer - it was placed here when we were working on the mudroom. I think we found a new home for it in the pantry/hallway closet but just haven't gotten around to moving it yet. 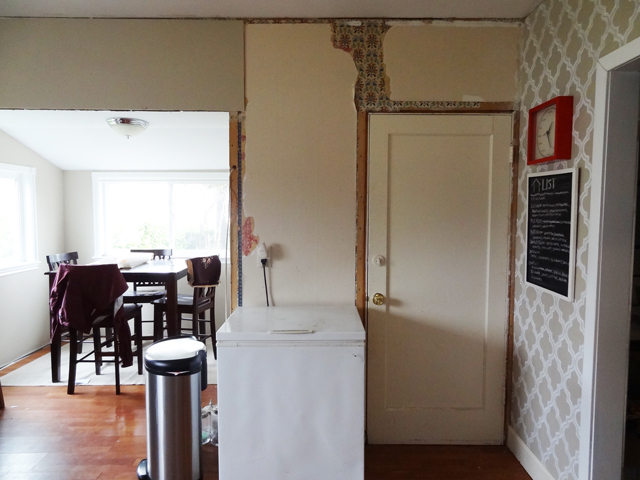 And the other wall that we want to convert into a half-wall is the wall on the right in this picture of our nook. You might remember my mudroom update & inspiration post from a few months back. Our inspiration ideas were full of small-space storage solutions, built in benches and a hidden washer & dryer. Check out even more inspiration photos on my Mudroom Pinterest Board. If you're anything like Josh, sometimes it's hard to visualize ideas so here's our vision for our space. View from Mudroom into Breakfast Nook - The half wall will open up the space bringing in more light into the mudroom and a less closed off and claustrophobic feel in the nook while still separating the two spaces. I'd love to do a beadboard/board & batten combo wainscoting treatment on the walls and add hooks to the half wall on the mudroom side. The built-in features in the nook will include a bookcase and a bench. View from Breakfast Nook into Mudroom. 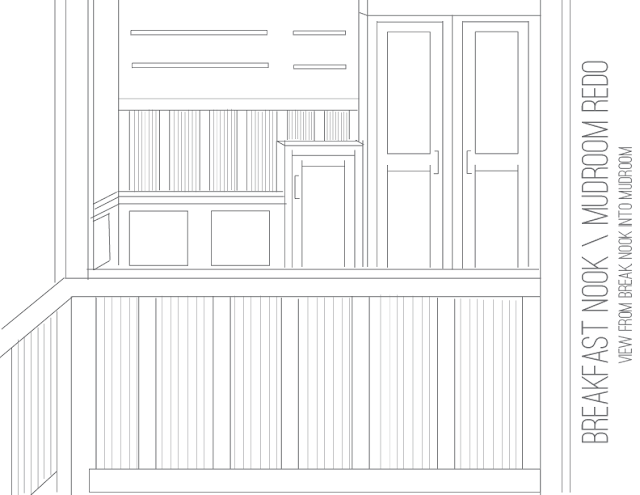 The mudroom's built in features will include a closet with shaker style cabinets that surrounds our stackable washer & dryer, a small folding counter/cabinet with hamper storage inside and a bench, in addition to open shelving. 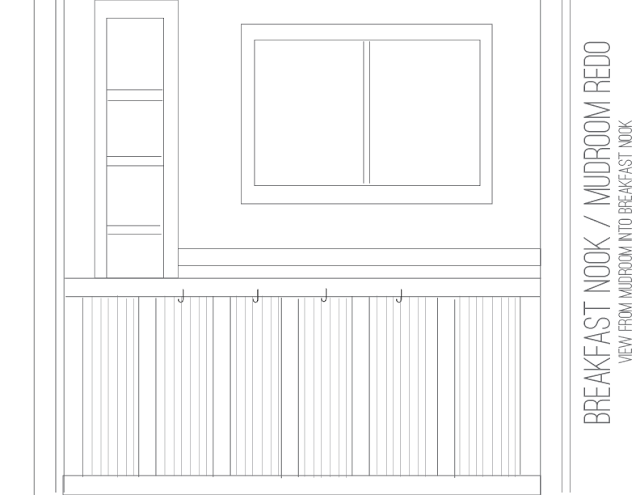 So that's our plan for mudroom and breakfast nook. In addition to the carpentry work, we'll be adding recessed lighting in the mudroom. We still haven't quite figured out the lighting for the nook, so I'm sure I'll be scouring Pinterest and the web for ideas. What do you guys think? Are we missing anything? Have you taken on the half-wall challenge? Have any killer nook lighting ideas? Or even better - any tips on how to replace a window pane?